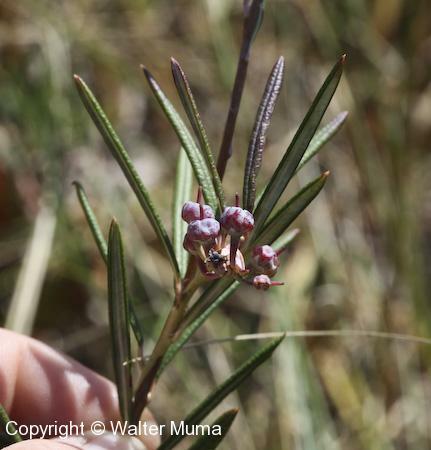  Leatherleaf (Chamaedaphne calyculata) - Flowers are arranged along a drooping raceme. 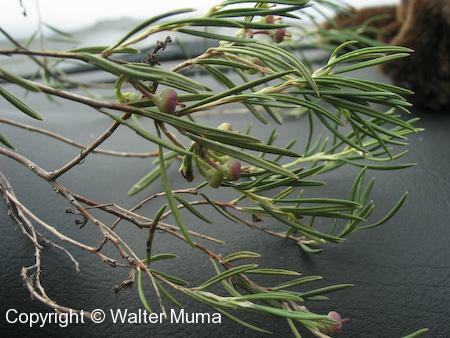 Photographs: 76 photographs available, of which 3 are featured on this page. SCROLL DOWN FOR PHOTOGRAPHS. 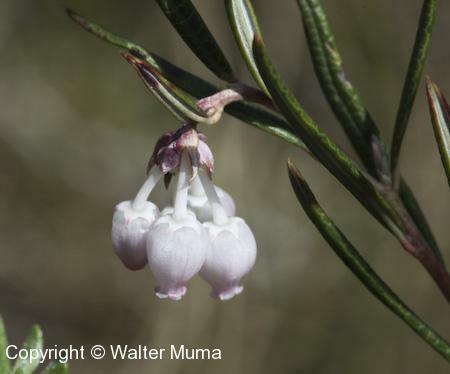 An entire Bog Rosemary plant. 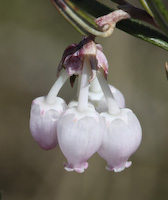 Leaves and fruits of Bog Rosemary.